..:: Roger Chinery and The Ballroom Dance Band ::.. Probably the most versatile strict tempo band around, we can switch from Ballroom to Sequence to Party in an instant. Our music spans the decades so we can always provide the music you want. 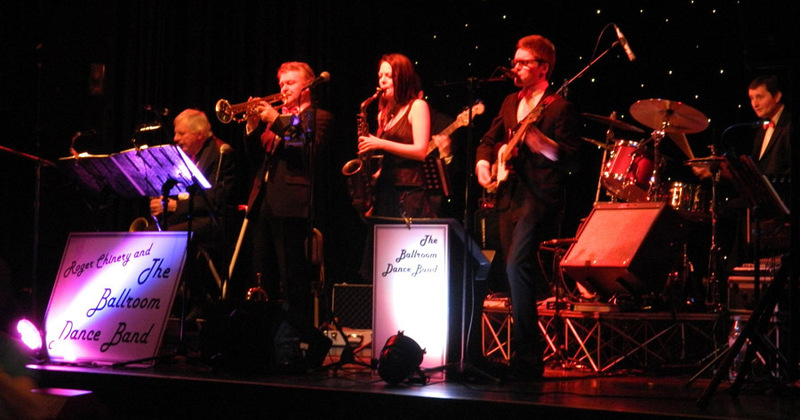 The Ballroom Dance Band plays proper strict tempo music from the roaring twenties to the present day. With talented music arrangers within the band who can make almost any song of your choice perfect for Ballroom Dancing, our repertoire is constantly expanding and we are always open to requests or suggestions for new music should you book us for your event . Dance instructors are available if you want to combine your event with a dance class. Ballroom, Latin and Sequence Dancing are all catered for, from a basic waltz to a full on 'Strictly' routine. Why not treat your guests to a dance class to get everyone on the floor and have some fun. Although our speciality is strict tempo dance music, the band can provide entertainment for a variety of functions including parties, weddings and dinner jazz. Please call or email for further information. If you would like to receive information about future dance events or holidays, please email or write to us and we’ll include you on our mailing list. Please call us on 01787 237887 or Send an e-mail for prices, availability and more information.